Newly-installed world bouldering champion Kai Harada is favourite to win the annual Adidas Rockstars event - “where climbing meets music” - which begins tomorrow in Stuttgart. Slovenian star Janja Garnbret made history as the first combined gold medallist at the International Federation of Sport Climbing World Championships as she laid down another marker prior to the sport's Olympic debut at Tokyo 2020 in Innsbruck. 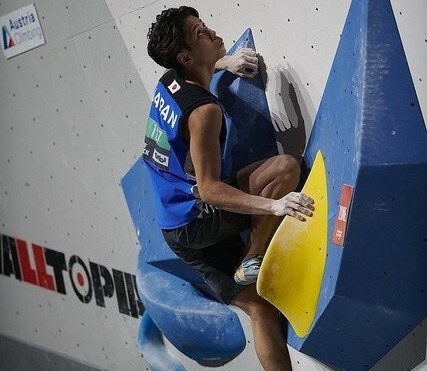 Japan’s Kai Harada claimed the men’s bouldering title on the penultimate day of the International Federation of Sport Climbing (IFSC) World Championships in Innsbruck. Slovenia’s Janja Garnbret secured the women’s bouldering title at the International Federation of Sport Climbing (IFSC) World Championships in Innsbruck. Aleksandra Rudzinska won an all-Polish women’s speed final at the International Federation of Sport Climbing World Championships in Innsbruck. 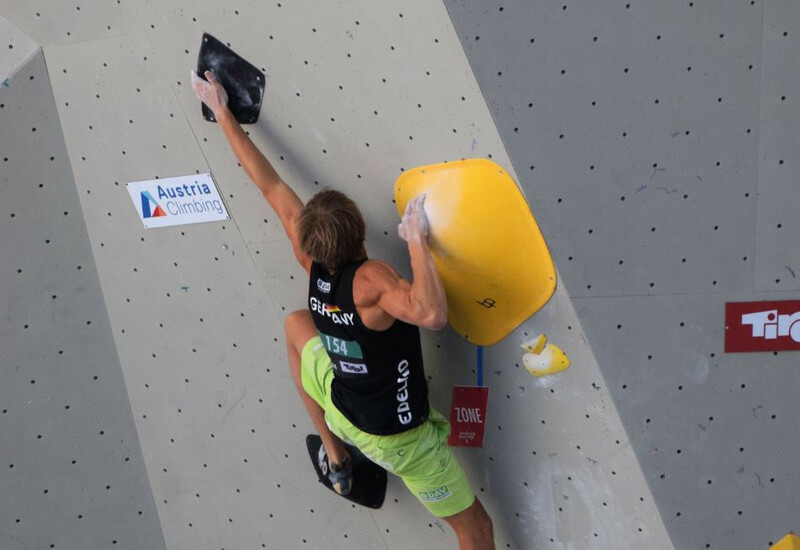 Slovenia's Jernej Kruder progressed to the semi-finals of the men's bouldering competition at the International Federation of Sport Climbing World Championships in Innsbruck. 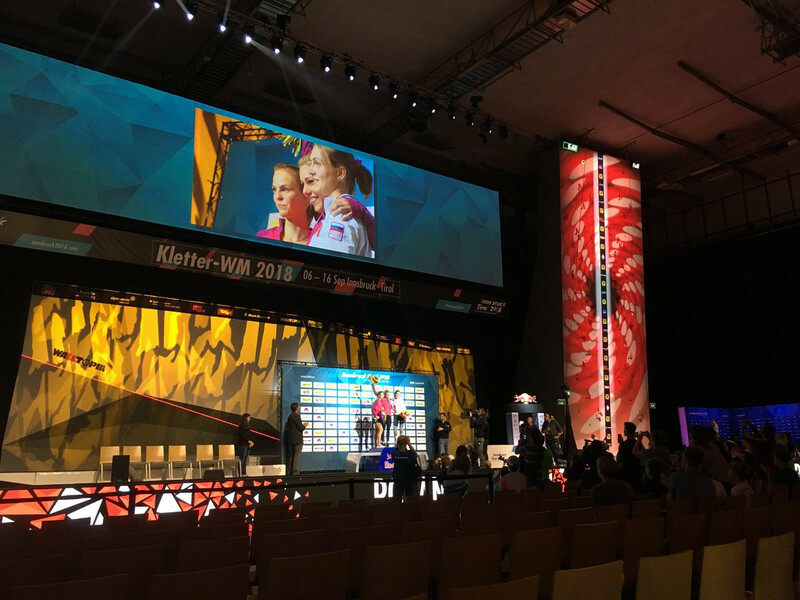 Slovenian star Janja Garnbret topped her qualification group as women's bouldering action began at the International Federation of Sport Climbing World Championships in Innsbruck. A day after his compatriot Jessica Pilz won the women's final, Jakob Schubert from Austria won the men's lead title at the International Federation of Sport Climbing (IFSC) World Championships in Innsbruck. Austria's Jessica Pilz is the new International Federation of Sport Climbing women's lead world champion after reaching the top of the wall in Innsbruck today five seconds faster than her nearest rival. 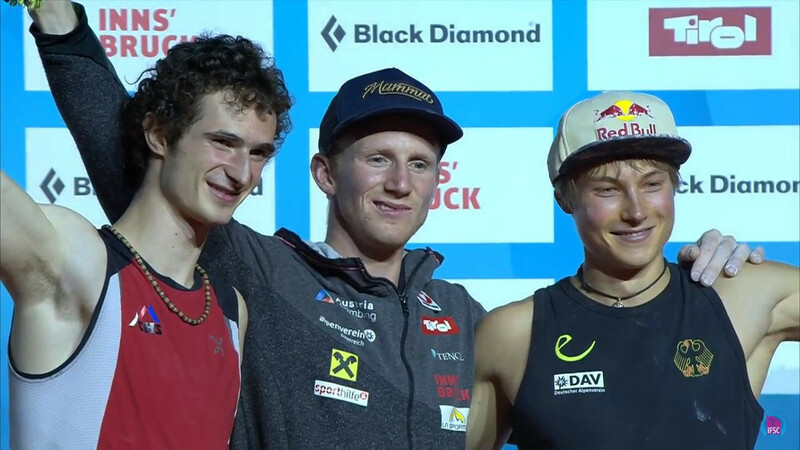 Adam Ondra's ambition to become the first athlete in recent history to win three consecutive lead world titles is looking healthy following his joint victory in qualification on the second day of the International Federation of Sport Climbing (IFSC) World Championships in Innsbruck. 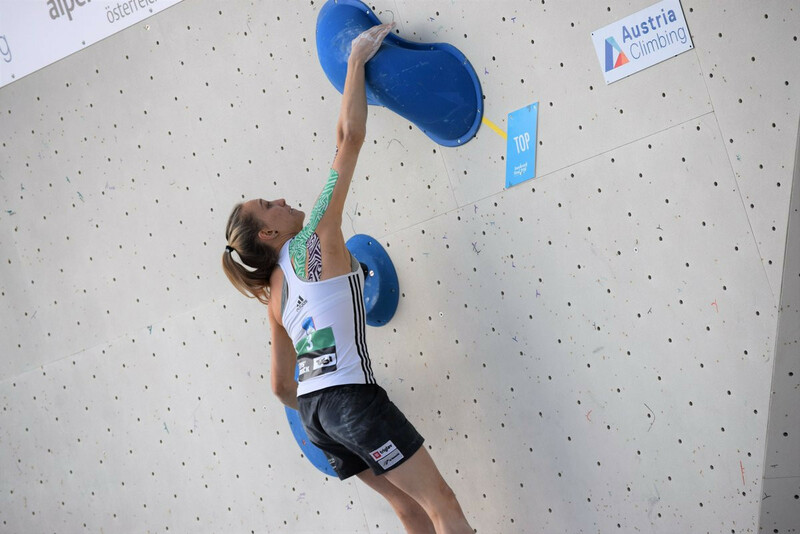 Slovenia’s Janja Garnbret progressed to the semi-final stage of the women’s lead competition in style at the International Federation of Sport Climbing (IFSC) World Championships began today in Innsbruck. A total of 531 climbers from 57 nations and five continents will be involved in the International Federation of Sport Climbing (IFSC) World Championships starting tomorrow in the Austrian city of Innsbruck. Jernej Kruder of Slovenia and Japan’s Miho Nonaka secured the respective men’s and women’s Bouldering World Cup titles at the International Sport Climbing Federation’s season finale in Munich – but in very different fashion. Overall women's leader Miho Nonaka of Japan maintained her superb level of consistency as she qualified equal first for tomorrow’s semi-finals at the last International Federation of Sport Climbing Bouldering World Cup of the season. 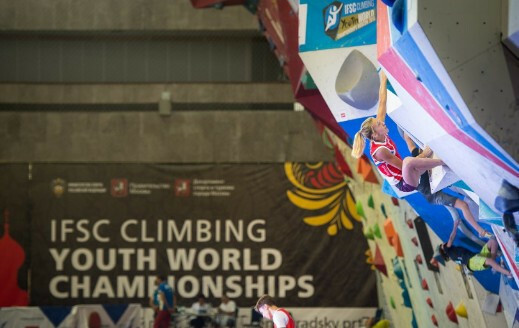 The United States and Japan won gold medals on the final day of the International Federation of Sport Climbing Youth World Championships in Moscow.